Every year, business with over 50 employees that offer health benefits must grant an “open enrollment” period (most small employers also provide an open enrollment period). 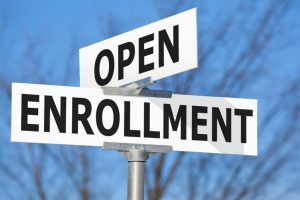 Open enrollment is also accessible for individuals or families who purchase their own health insurance via the ACA markets or directly from health insurance companies (known as – off-exchange). During the open enrollment period, health care beneficiaries can choose to opt in or out of plans or perform changes to the health plan they currently have. Insurance coverage rates are analysis and reassessed during this period, and health plan prices are normally changed for the upcoming benefit year (this ordinarily corresponds to the calendar year, but in the case of private employer-sponsored plans, it does not have to). Generally, this open enrollment period is the one and only time throughout the year in which changes can be implemented to an enrollee’s coverage (the exception to this is when the enrollee experiences a qualifying event). The first question you need to have clarity on is when are able to enroll in your health benefits plan. If you receive your health benefits through your job, your annual open enrollment period may last for just a few weeks or often a month. The open enrollment period often occurs sometime in the fall; however, employers have versatility in terms of scheduling open enrollment. Your organization should notify you concerning your open enrollment period. Reach out to your Human Resources department if you are unclear or need further understanding of your organization’s health care plans and policies. If you desire to buy your own health insurance through an ACA-compliant plan compared to another plan such as a short-term health insurance policy or a limited benefit plan—you are also subjected to open enrollment, as coverage is only accessible for attaining during that time (or through a special enrollment period if you have a qualifying event later within the year). This qualifying events typically need to be approved and determined by your employer. These can be having a child, marriage, moving to a new state, or loss of another insurance plan. If this happens to be the case, your open enrollment period is decided by the U.S. Department of Health and Human Services, following regulations concerning to the Affordable Care Act (before 2014, open enrollment for individual health insurance did not exist, but insurers in most states could decline applications from people with pre-existing conditions, or charge them greater premiums; coverage is now guaranteed issue, despite your medical history. However, enrollment is limited to open enrollment or special enrollment periods). The 2020 Open Enrollment Period runs from November 1, 2019, to December 15, 2019. Plans sold during Open Enrollment date start January 1, 2020. States that run their own exchanges have the opportunity to continue open enrollment by adding a special enrollment period for additional time, available to all residents, prior to, or after the routinely scheduled enrollment period. For 2019 coverage, California and DC have communicated that they’ll continue to have open enrollment periods that extend three months (however in California, the three-month window has been made perpetual, via legislation). If you’re keeping on top all the details that happen in of life’s, you may be aware of your company’s open enrollment. You might even re-assess your plan throughout that time each year. However, it is more than possible and far more common for individuals to forget about it, or unfortunately miss their open enrollment period. If you happen miss out, you have few options. Oh No! I Missed My Job-Based Benefits Open Enrollment Period. What Should I Do? If you missed your company’s open enrollment period for health insurance benefits, you are likely unable to get insurance for the year. If you are not already signed up for health insurance, there’s a good probability you will not be able to do so this year. It is beneficial if you have automatic renewal because you will automatically re-up with the same plan you had last year if you forget to update your enrollment. Some organizations are more flexible than others about open enrollment. However very few will make special exceptions for someone who simply forgot to enroll, though exceptions are ordinarily forbidden by the terms of the health insurance agreement. If you miss open enrollment and were not already enrolled in a plan that was automatically renewed, you may be without health insurance, unless you have just experienced a notable, life-altering event that would trigger a special enrollment period. A special enrollment period could be prompted if you are covered on a loved one’s plan and lose that coverage. For instance, if you are covered under your spouse’s plan and your spouse loses her job or if you become divorced, this would qualify for a special enrollment period that would enable you to enroll in your company’s health plan right away. Additionally, if you gotten married, have a child, or adopt a child, you could enroll your children or partner/spouse right away in a special enrollment period. These special enrollment periods also are administered in the individual market, so if you lose your job-based health insurance in the midst of the year, you’re eligible to enroll in a plan through the exchange or directly via a health insurance company, despite the fact that open enrollment for the year has previously ended. If nothing has happened to prompt a special enrollment period, you will most likely have to wait until the next year’s open enrollment period to sign up for health benefits or make a change to your existing benefits. Medicaid and CHIP (Children’s Health Insurance Program) enrollment are accessible year-round. So if you or your kids are eligible, you can sign up anytime. Qualification is based on income, and it varies considerably from one state to another. But you may find that the income limits for eligibility, especially for CHIP, are higher than you had expected. So if you’re are not insured and have missed open enrollment, be sure to investigate to see if you or your children might qualify for Medicaid or CHIP before you resign yourself to being uninsured for the rest of the year. Plans that aren’t minimum essential coverage, including short-term coverage, fixed indemnity plans, critical illness plans, accident supplements, etc. are not regulated by the Affordable Care Act, and allow year-round enrollment. If you rely on this type of plan as your only coverage, you’re not in compliance with the ACA’s individual mandate. But the penalty for non-compliance will be $0 starting in 2019. And having some coverage is generally better than having no coverage at all. Of the plans that aren’t minimum essential coverage, short-term plans tend to be the closest thing to “real” insurance. It’s important to keep in mind, however, that short-term plans don’t have to include the ACA’s essential health benefits, can still reject applicants with pre-existing health conditions (and usually don’t cover any pre-existing conditions, even if the application is accepted), and can force caps on the benefits the insurance plan will pay. So read the fine print before you apply for a short-term plan. And know that if you rely on a short-term plan in 2019, you’ll owe the individual mandate penalty unless you qualify for an exception. In 2018, short-term plans are restricted to three-month durations. But that is assumed to be extended to 364 days under rules introduced by the Trump Administration. If the rules are finalized, longer short-term plans will become available in many states, although some states have laws that will limit short-term plans to three or six months or continue to prevent them altogether. When and where short-term plans are available, but, they allow for next-day effective dates for applicants who are eligible for coverage. ← Getting Through A Break-up May Not be So Hard.